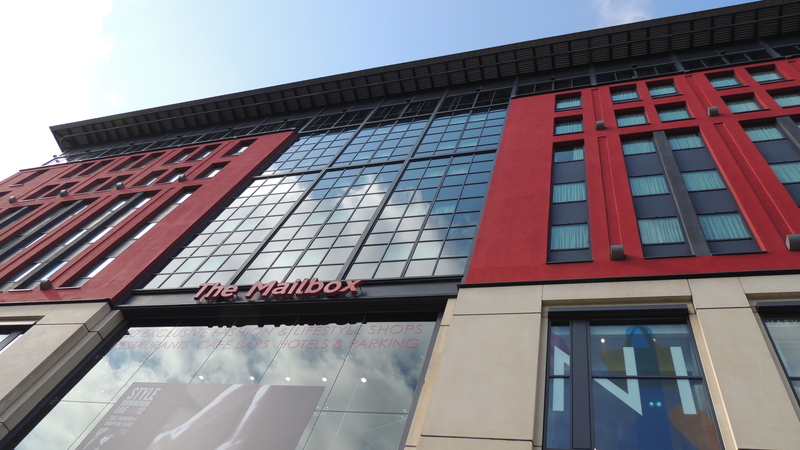 The Mailbox is a mixture of posh shops, restaurants, and bars, catering for the wealthier crowd. If you want a restorative champagne or coffee and cake while you’re shopping then try the plush cafe-bar at Harvey Nichols, or it’s pretty restaurant. If you want something more substantial head through the shops to the terraces where you’ll find many venues. Penny Blacks: This is the most down to Earth bar in The Mailbox and is presented like a normal pub. They do pub grub (although the twice we ate there it was a bit of a disaster) and a range of beers and wines. A good place to go with your mates for a pint and a pie. Aluna: bit of a weird mix of far eastern food and cocktails. Strada: I’ll be brief because my mother always taught me that if I didn’t have anything nice to say, to say nothing at all. We’ve eaten here a couple of times and both times had below par food and service. We may have just been unlucky, so I’ll probably give it a go another time before I completely decide I don’t like it. The menu is kinda Italian. The service and quality of food isn’t. Estillos: One of our favourite food styles is Tapas. This place used to be great, but frankly Birmingham has upped its Tapas game with ventures like Tapas Revolution, Amantia, El Borracho, Comida, and Rico Libre, and Estillos is now well behind the times. Gas Street Social – Cocktails and food for the masses. Café Rouge: It’s a Café Rouge. 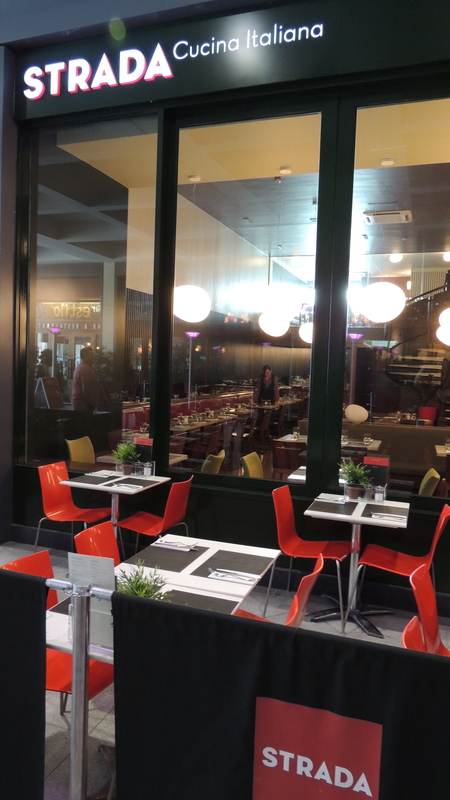 Café Rouge furniture, Café Rouge booze, Café Rouge menu, Café Rouge service. It’s adequate. End of. 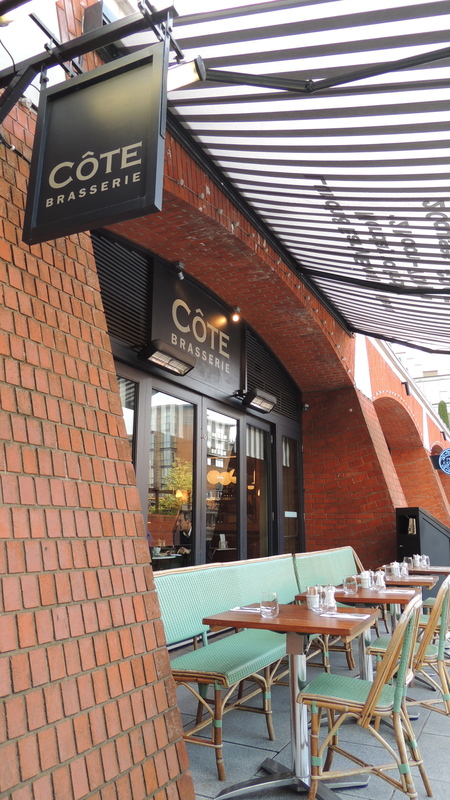 Côte: French brasserie inspired Cote is a perfect spot to nurse a hangover with a full English and a Bloody Mary. Or go continental and try a Croque Madame, or fruit and yoghurt. Its breakfasts are really delicious and in the summer there’s nowhere better to sit outside and enjoy the view with a coffee and a newspaper. Although I’ve never had a breakfast there without the fire alarm going off from burning toast. I’m not a fan of a Bloody Mary but my top tip for booze with breakfast is go for a Mimosa, it’s 1/3 Orange Juice and 2/3 Champagne, whereas a Buck’s Fizz is 2/3 Orange Juice and a 1/3 Champagne. Easy decision! In the evenings it has a grown up menu, my particular favourites are the rillettes and when available the Lemon Sole. I’ve also been told the steaks are good. A lovely place for a date, or for a business dinner. Service can be slow but generally though I don’t mind slow service here as the food is great and the atmosphere relaxing. Gourmet Burger Kitchen: I know my friends and family think I eat only at establishments where the champagne flows, but it simply isn’t true. 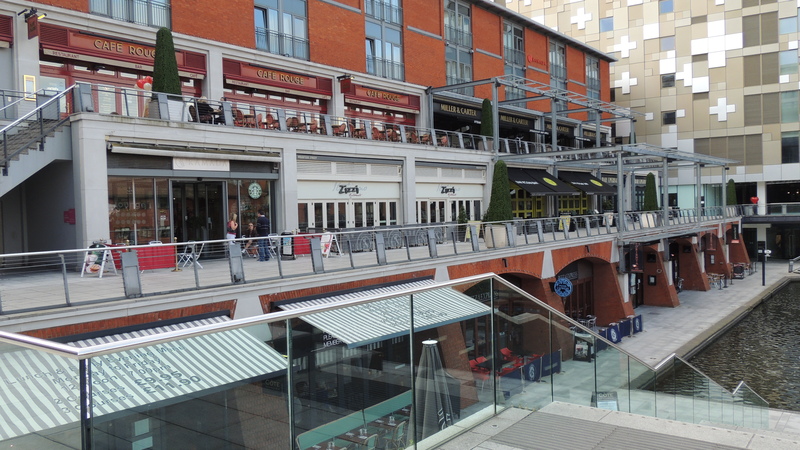 Gourmet Burger Kitchen (GBK), located in The Mailbox, is one of my preferred venues in Birmingham if we want to go for a cheap and cheerful but tasty dinner. They sell a large range of burgers to suit any taste and there is an open kitchen where you can watch your food being prepared. It’s “a restaurant with instructions”. You’re seated and given menus but you have to go to the counter to order your food, where you’re given glasses to fill with shell-on peanuts from a sack of them by the jugs (which you can also help yourself to). A nice touch. The burgers are always well prepared and actually look like they should do – tall stacks of succulent fillings. My favourite is the New Zealand which is a beef burger with Cos lettuce, beetroot, and a fried egg. It’s definitely a knife and fork job. There milkshakes are huge, I’d advise sharing! They sell some nice beers and wines. I think it’s the perfect place to take the kids, certainly a huge improvement on generic fast food joints like McDonalds, with the plus side that Mum can say hello to Mr. Pinot Girgio. If you’re on a night out but need some pre-booze carbs to soak it up, it’s an easy and quick place to start.